Party Celebration Ideas Makes Ryan’s Birthday a Big Hit! Party celebration ideas was what Danielle was looking for when she first connected with Vine & Vintage. 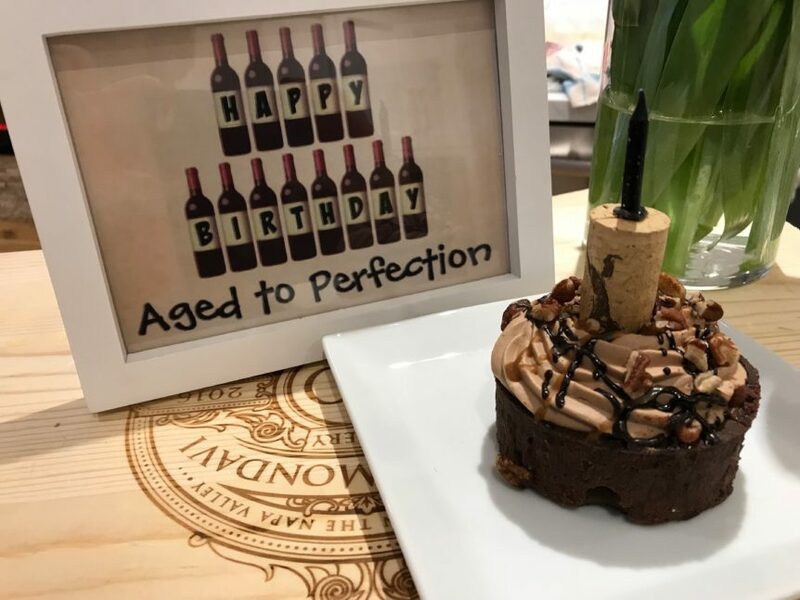 She explained that her husband’s big 40th birthday was approaching and she wanted to make it extra special. 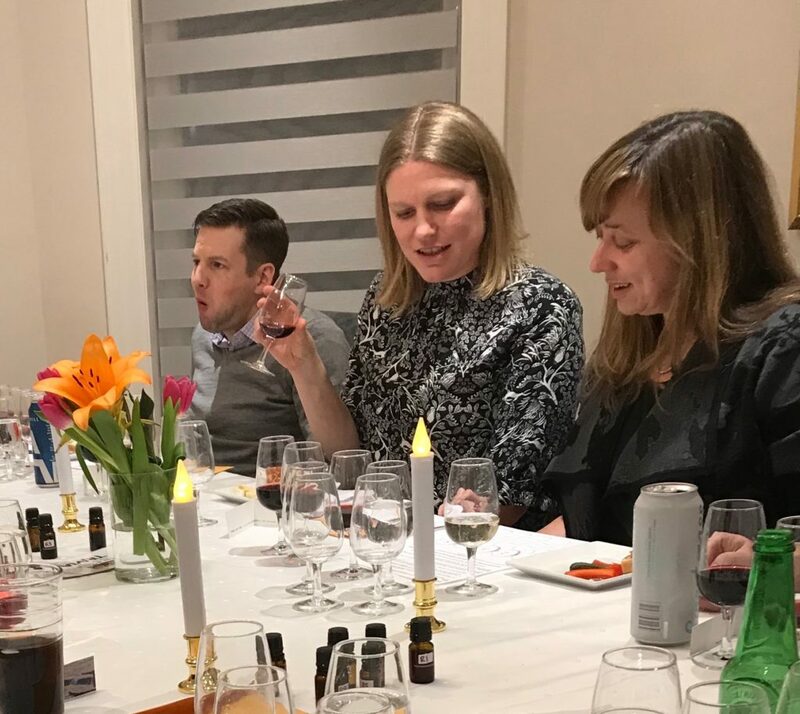 Danielle wanted a unique experience, a different way of celebrating with friends, rather than the typical dinner out or house party. I assured her that Vine & Vintage had many party celebration ideas and she had come to the right spot. 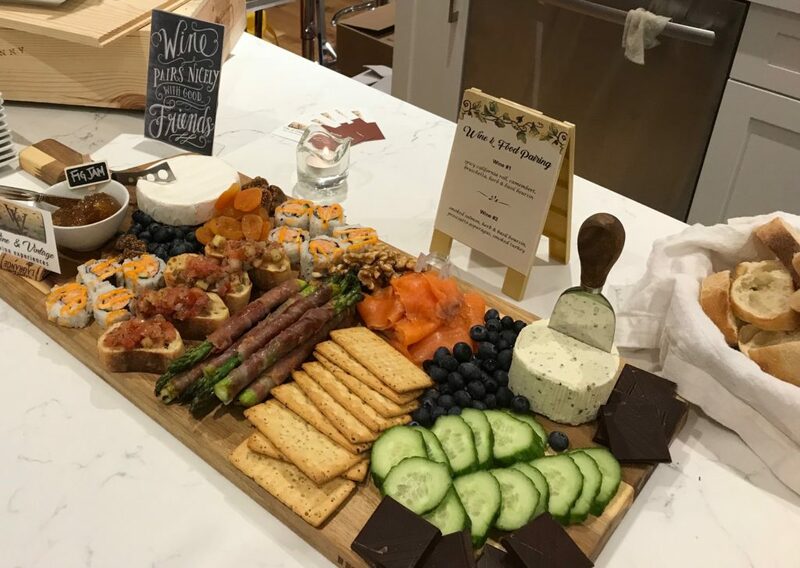 Together, with Danielle, Vine & Vintage organized an experience that was tailored and personalized to relate to her husband, Ryan’s special occasion and the guests attending. Danielle chose the Food & Wine Pairing Package and the Wine Murder Mystery wine theme. This is one of Vine & Vintage’s newest wine tasting themes, and which is quickly becoming the most popular. For the wine list, she requested a selection of Old World vs. New World wines, so we provided a wine from 3 countries in Europe, one from South America and one from South Africa. 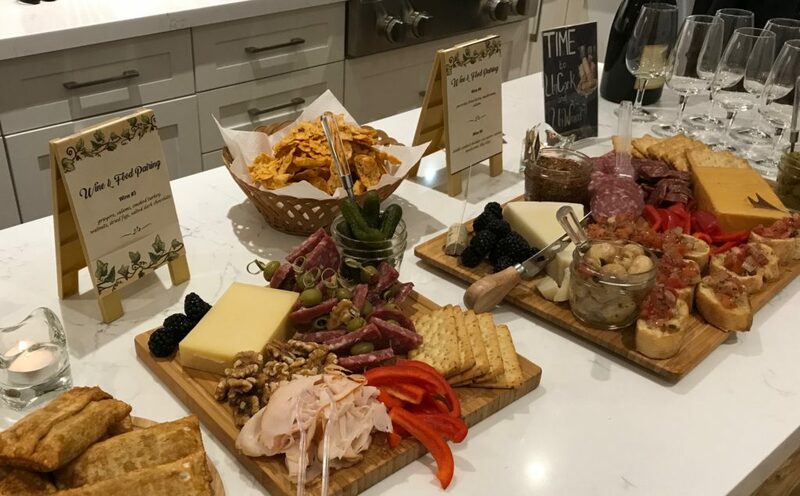 In addition, we prepared one of our charcuterie table spreads to include mouth-watering food pairings. 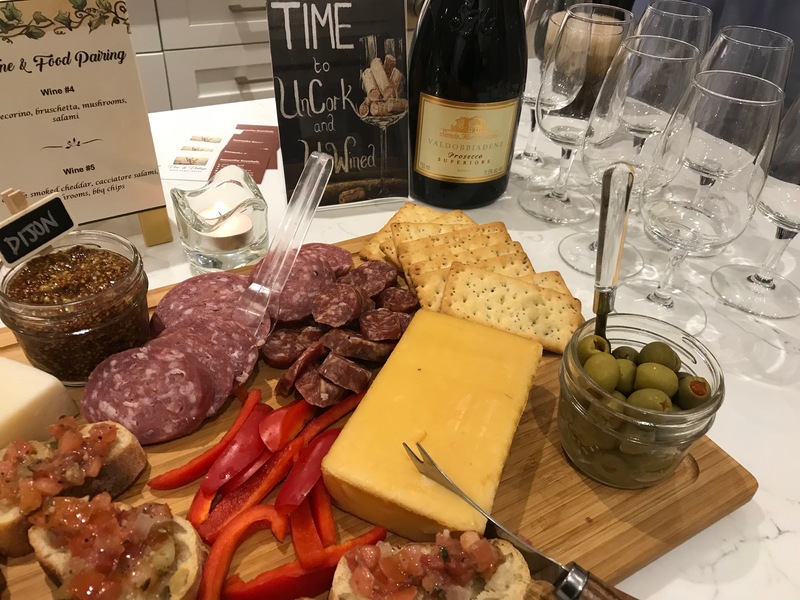 As Ryan is a huge fan of sparkling wine, guests received a tasting of the Santa Margherita Brut Valdobbiadene Prosecco Superiore to kick off the evening. This refreshing bubbly showed lemon zest, pear, white peach, apricot, toasty flavours, and was a fabulous way to begin the wine tasting experience. 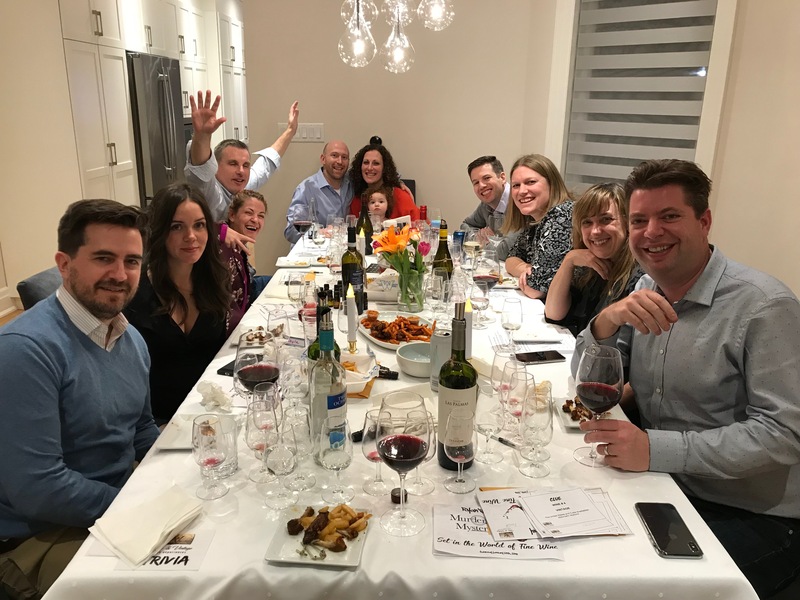 I was incredibly impressed by the good sportsmanship and support the group of friends showed one another throughout the tasting and game. Our sensory games, another one of Vine & Vintage’s party celebration ideas weren’t easy, so teams were trading helpful hints, cheering each other on and there was no shortage of laughter and fun. Our Wine Murder Mystery is a play on the traditional game, combined with a blind wine tasting. 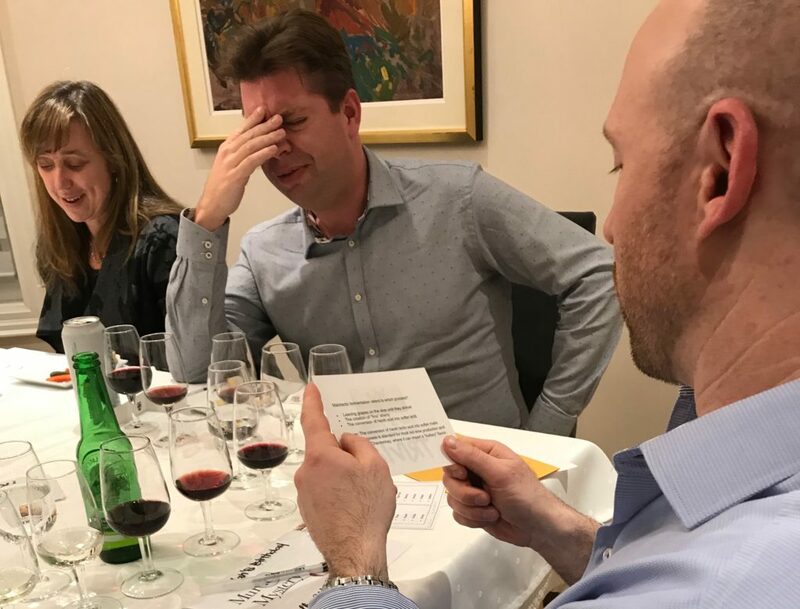 Instead of figuring out the killer, the objective is to uncover wines being tasted at the event. 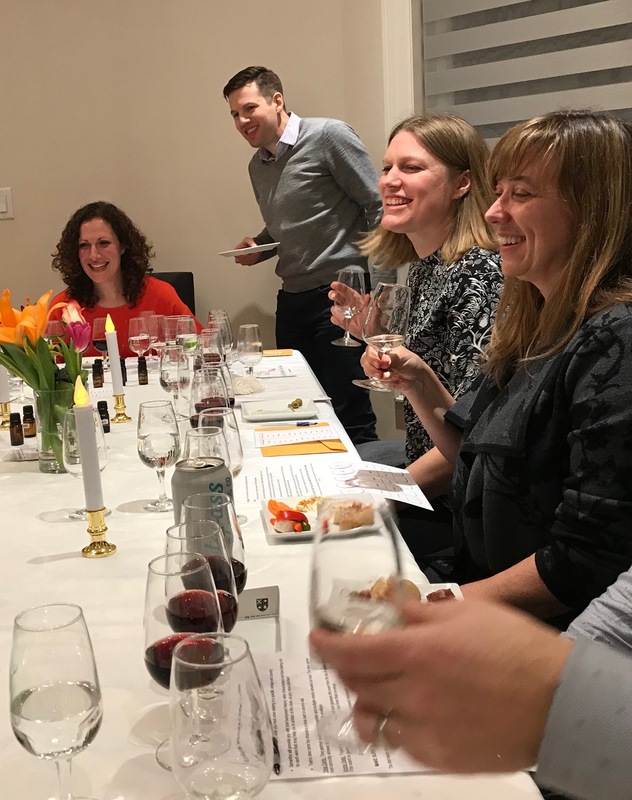 Throughout the experience, guests tasted wines and enjoyed complimenting food items as they used specific clues, Vine & Vintage multiple-choice trivia cards and aroma vials to solve the mystery. The group did a fantastic job identifying what they were drinking! What a hilarious and fun group! One of the best parts of hosting a wine tasting event is providing the entertainment. However, my favourite part is when guests are as equally entertaining, and I have just as much fun. So much enthusiasm, so many jokes and never-ending laughter was had that night. It was a welcoming and friendly environment and a wonderful evening of celebration. See below for the event wine list and the best food pairings of the night.